Victorian-born music and wine festival Grapevine has announced a major expansion for 2018, today revealing juicy new lineups for events in both Victoria and New South Wales. After debuting in Victoria’s Yarra Valley last November, Grapevine is now set to hit up wineries in both the Yarra Valley and Hunter Valley between November and December 2018. 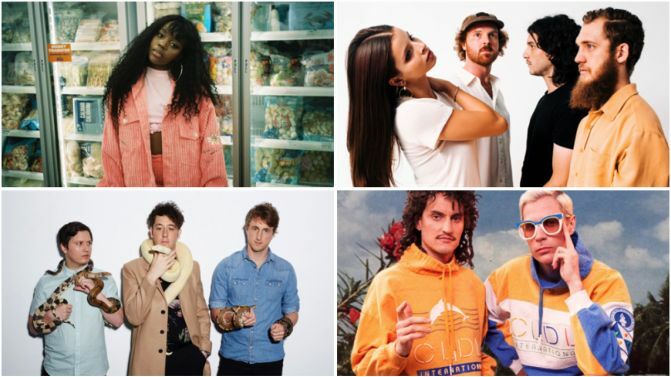 Leading the festivals new lineups are UK indie-rockers The Wombats (who pretty much live in Australia now), as well as local legends like The Jungle Giants, Client Liaison, Tkay Maidza and Miami Horror. Also joining the roster are the likes of American producer MK, Brisbane artist Young Franco and Germany’s Sebastian ‘Basti’ Doering, AKA Lovebirds. Grapevine organisers are promising plenty of food, drinks and (of course) wine at this year’s events. Peep the 2018 Victoria and New South Wales lineups in full below, alongside all the festival dates and ticket details.